A new Netflix original series, The Confession Tapes, has once again given the viewing public a stimulating look into the American injustice system—with an up close and personal look at the psychological games employed by police to elicit taped confessions that suspects claim were coerced—but resulted in convictions. 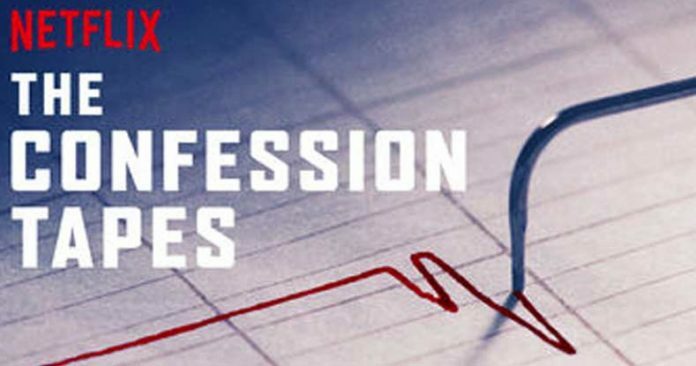 The Confession Tapes encompass a wide array of suspects and situations, revealing that there is no race, religion, background or class that immunizes a person from being persecuted. The only common thread throughout the series is that every single person featured in the series maintains their innocence to this day. The chilling reality of the series is the resounding message that no one is immune from the hyper-focus of law enforcement, regardless of the evidence, once police have fingered a particular person to be guilty. The series makes clear that this could happen to anyone. While some may feel safe “being honest” with law enforcement due to their assured innocence, after watching the seven episodes of this series, they will likely think twice before choosing to so implicitly trust the police in such a tenuous circumstance. The stories featured in the show reveal a mix of interviews and archival footage in a documentary style that allows the suspects themselves, friends, family, lawyers, prosecutors and jurors to tell the story. It is distinct in that it allows the record to speak for itself, rather than relying on dramatic interpretation. The Confession Tapes takes you directly to the scene, using actual footage of the crime scene, instead of using actors and dramatizations. Without question, the series allows the viewers to feel the true tragedy and weight of the cases. Perhaps the most troubling part of the series is the confession tapes themselves, as they reveal mentally fragile people being pushed into likely false confessions using a barrage of psychological tactics. As TFTP has previously reported, not even children are safe from these brutal tactics to make innocent people say they are guilty. A study of juvenile interrogations at 17 police departments found that none of the suspects had attorneys present during questioning, and only 21% had parents present. All of them had already waived their Miranda rights. This does not happen by accident; it is a deliberate setup by the cops. Interrogation is a calculated, manipulative, nine-step procedure known as the Reid Technique. The goal is to heighten anxiety and wear away one’s ability to defend oneself. Loaded questions, implicit assumptions of guilt, and even fabricated evidence are used. Interrogators are trained to recognize and exploit verbal, non-verbal, and paralinguistic behavior in order to gain a confession. In the series, each episode reveals people confident in their innocence, and happy to engage with police to prove it—only to be worn down to the point of confessing to crimes that they did not commit. And while on the surface that seems to be a legitimate question, The Confession Tapes reveals the extent to which police have the ability to figuratively beat down a suspect with hours of intimidation, manipulation, deception, and pressure in an effort to force a confession. The tapes reveal police lying about evidence to coerce a confession, while trying to convince the suspects that the only chance they have is to confess in order to potentially gain a lesser sentence. While the series doesn’t provide airtight proof that every person featured is innocent, it raises serious doubts about the veracity of the case brought against each and every one. Without question, each episode makes a compelling argument that the methods used by law enforcement were often extremely questionable—and in some cases outright illegal. The Confession Tapes raises the question in many people’s minds of just how often these types of extreme tactics are employed—but not caught on tape. In the cases where retrospectively the innocence of the suspects seems a foregone conclusion, it can be truly heartbreaking to see an innocent person be mentally broken down so thoroughly by police. In one of the most poignant moments of the series, a man convicted of murder is partially exonerated through the use of DNA evidence – only to plead to a lesser charge in exchange for time served. The sad answer is that after having seen the injustice in the system at work, he clearly understands that being innocent is no protection when facing the prospect of a jury trial.